Do you have income but limited down payment? We’ve all heard the conventional advice: Put down a 20 percent down payment when you buy a home. But are you really required to save up that full 20 percent before you can buy? One of the easiest loans to qualify for with a low down payment is an FHA loan. The government doesn’t fund the mortgage, but the Federal Housing Administration does back the loan. This allows lenders to take a bit of a risk on you. With an FHA loan, you can put down as little as 3.5 percent for a down payment. If you’re buying a home for $200,000, that’s the difference between saving $40,000 for the traditional 20 percent payment or $7,000. In addition, credit requirements are a little looser with this type of low down payment mortgage. If you’re struggling to repair your credit, an FHA loan can be a good choice. Another government-backed program that offers low down payment mortgages, this one through the USDA, can help you buy a home with no money down at all. You do have to buy in an eligible rural area, however, if you want home loans with no down payment from this program. As long as you meet the income, credit, and location requirements, you can get 100 percent financing to help you buy your home. Do you have a history of military service? You might qualify for 100 percent financing with the help of a VA loan. This is another program designed to help you get home loans with no down payment. Depending on your status with the military and other factors, you might be able to get a mortgage without any money down. Looking for low down payment home loans? You can take advantage of the HomeReady mortgage, which is backed by Fannie Mae. You only need 3 percent down to secure this mortgage. The HomeReady mortgage is aimed at homebuyers with low and middle incomes. The credit requirements are more stringent than what you see with the FHA loan, though. Income requirements with HomeReady take into account everyone living in the household. If you want to buy a home and have your parents live with you, it’s possible to include their income in the calculations. You can also count the income of children whose earnings contribute to your household. Check into sweat equity programs designed to help you with a down payment on a home. With these programs, you “earn” your down payment by helping build your home or contributing to the construction of other homes. Many of these programs are run by nonprofits or by local housing entities. Check in your local area for information about sweat equity, and how it might be able to help you reduce your down payment. For a while after the housing market crash, piggyback loans all but disappeared. Now, they’re starting to make a comeback. With this type of mortgage, you can get a home with a 10 percent down payment. Here’s how it works: You get a conventional loan for 80 percent of your home’s purchase price, often backed by Fannie Mae or Freddie Mac. This allows you to access current mortgage rates for your home. Next, you get a second loan (either a home equity loan or a home equity line of credit) for 10 percent. Then, all you have left is to pay the remaining 10 percent of the purchase price with cash. In some cases, the use of the piggyback loan can help you avoid paying private mortgage insurance. Even though you might rejoice at the idea of paying less than 20 percent down to buy your home, it’s important to realize that you will pay higher costs in the long run. There’s a reason lenders like to see you put at least 20 percent down — they want to know you have skin in the game. The lender is fronting you the money for your mortgage, and they feel it’s less risky if you’re putting a significant amount of your own cash toward the purchase. Your 20 percent down can help you get a better mortgage rate because you will be seen as less risky. 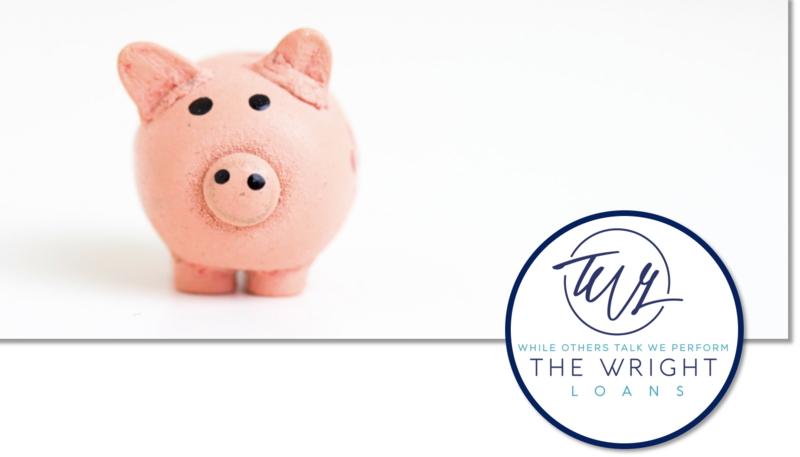 A lower mortgage rate means that you save more money over the life of your loan. Let’s not forget that your larger down payment means you borrow less to begin with. The less you borrow, the less you pay in interest — no matter your rate. Putting 20 percent down saves you money over time. Consider a $200,000 mortgage at 3.92% for 30 years. Using Google’s mortgage calculator, here’s what you end up paying in the long run with different down payment amounts: 0 percent down: $340,560 3.5 percent down: $328,680 10 percent down: $306,360 20 percent down: $272,520 That doesn’t even account for the fact that you might have to pay a higher interest rate on your mortgage because you don’t have a bigger down payment. Realize that in most cases you will pay mortgage insurance if you don’t have 20 percent down. There are some exceptions, but you need to factor this cost into your total expense when you weigh the pros and cons of getting a low down payment mortgage.